Curry King Express Maroubra uses their own specialised couriers to deliver their food. Curry and rice in one container. Curry with 2 plain naans. Fresh pastry filled with deliciously spiced vegetable, serve with mint sauce. Jullion of mix vegetable with herbs and spices, battered with chickpeas flour and deep fried, gluten-free. Massed potatoes peas and carrots mix with delicious herbs and spices crumbed and deep fried. Freshly made pastry filled with authentic delicious vegetables served with sweet tamarind sauce. Fresh pastry filled with spicy lamb mince and served with mint sauce. Popular tangy Indian snacks, mixed with light yoghurt and fresh coriander, with a touch of mouth-watering tamarind sauce. Boneless thigh fillets marinated in yoghurt and spices and cooked in tandoor served with mint sauce. Cottage cheese in creamy and delicious Aussie favourite sauce. Cottage cheese in creamy and cashew gravy. Mixed vegetables cooked with spinach. Marinated tender chicken simmered in hot and spicy sauce. 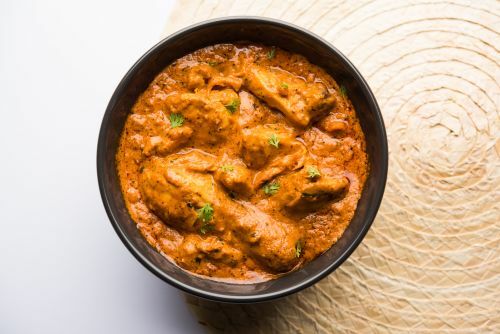 Tender chicken simmered in mild cream and cashew nut sauce flavoured with cardamom and saffron. Marinated tender lamb simmered in hot and spicy sauce. Tender lamb simmered in mild cream and cashew nut sauce flavoured with cardamom and saffron. Creamy and delicious. Aussie favourite. Boneless chicken marinated with herbs and spices and simmered in mouth-watering medium curry sauce. Boneless chicken simmered is chef's special mango sauce. Tandoori roasted boneless chicken smiled with onion and capsicum and tangy medium sauce. Juicy diced of lamb cooked with deliciously blended spices and sauce. Medium hot lamb curry with green chillies fresh coriander and simmered in fresh coconut milk. Minced lamb with peas in popular mughlai style. Succulent lamb pieces with a puree of English spinach and spices. Marinated tender diced beef simmered in hot and spicy sauce. Diced tender beef simmered in mild cream and cashew nut sauce flavoured with cardamom pods and saffron. Tender beef and potatoes simmered in fresh coconut, herbs and spices. Seasonal vegetable cooked is selected blend of herbs and spices. Peas and potatoes cooked in fresh herbs and spices. Mixed lentil simmered overnight on slow fire and finished fresh ginger and coriander. Chickpeas soaked overnight and cooked selected spices. Eggplant and potatoes cooked in Southern style of fresh herbs and spices. Puree of spinach and diced paneer (homemade cottage cheese) cooked in a North Indian style. Seasonal mixed vegetable cooked with mild cream and cashew nuts sauce, authentic flavour. Authentic royal Indian spiced fried rice, layering meat and rice, slow-cooked hours in oven. Very popular Indian sweet dumplings.